Varaha Jayanthi is the appearance of Lord Vishnu in the Varaha form that he took to save Mother Earth from the clutches of demon. It is celebrated on Dwadashi Tithi of Magha Shukla Paksha and therefore also called Varaha Dwadashi. This year it falls on April 23, 2019. This is the third incarnation of the supreme lord during Satya Yuga. Revering Lord Varaha on such an auspicious day brings all kinds of happiness, health and fortune. This form destroyed Demon Hiranyaksha thereby putting an end to evil. He is worshipped on this day for goodness to prevail on earth. 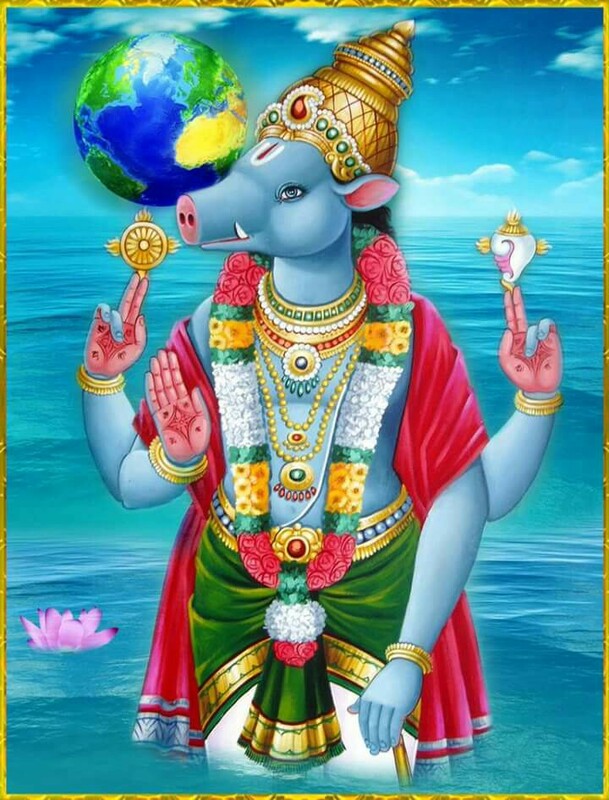 Varaha is the third incarnation of Vishnu, the supreme God. He appeared in the form of a boar to rescue universe from the demons. According to ancient Vedic texts, Lord Vishnu destroys all enemies and evil forces on the earth to protect people from potential threats and risks. Anyone who offers prayers to him on Varaha Jayanthi can gain major benefits in life. Varaha homam is mainly meant for getting the blessings from Lord Vishnu for witnessing better prospects. It also plays a key role in fulfilling the desires and wishes of devotees to ensure success and prosperity. Why Varaha Homam on Varaha Jayanthi? Varaha homam provides methods for living a trouble free life by eliminating negative forces to a larger extent. This homam is a suitable one for getting relief from the sins of past and present lives by meeting exact requirements. It gives ways for establishing peace and righteousness by reducing obstacles in life. In addition, it is possible to remove karmic issues and doshas with this homam. Varaha homam is a suitable one for getting liberation from life cycle (birth and death) to attain salvation (Mukthi). People who want to gain their spiritual knowledge and wisdom can choose this homam for leading a balanced life. Furthermore, one can be able to ensure progress levels in all areas of life by resolving complications. The malefic effects of planets in a horoscope can be solved by this homam to get success in all endeavours.